In this 2-player game using all Queens, you'll have to plan your moves carefully as you outwit your opponent to get four Queens in a row. 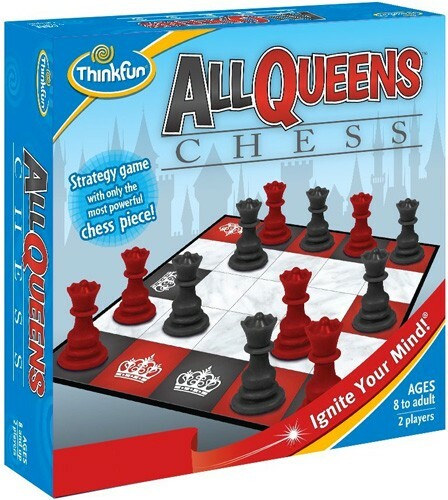 Just like in a game of Chess, the all-powerful Queen can move any number of squares vertically, horizontally or diagonally. The only difference is that pieces can't be captured. 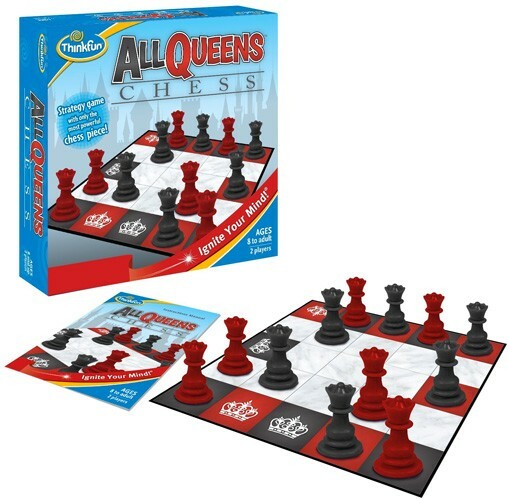 Stay alert and exercise logic as you navigate the board to get your Queens in a row. For more games to challenge growing brains, check out our Logic / Spatial Games Collection.